Music teacher Miss G welcomed the secondary school pupils to the first singing and signing assembly of the new term. We gather every Monday morning to share our love of music and knowledge of signing. 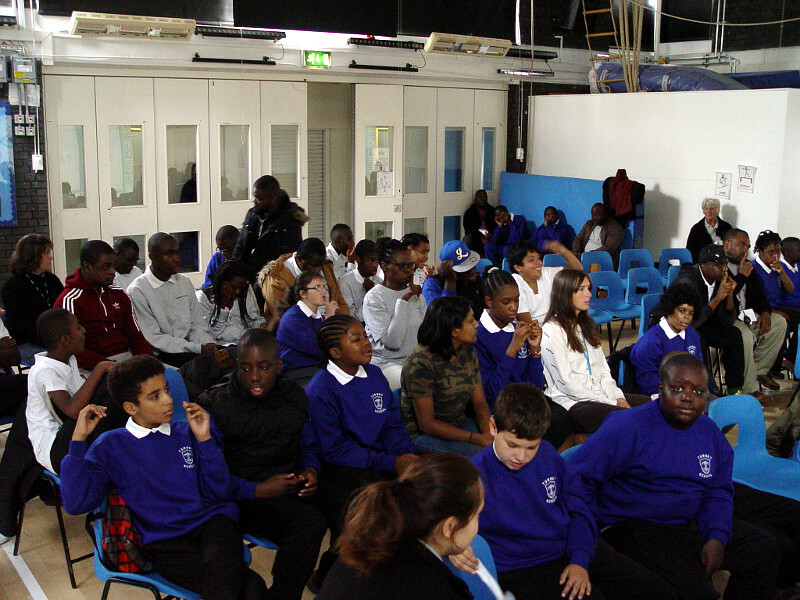 This was the first time that the new Year 7 pupils had attended the assembly. They were made to feel welcome with plenty of adult support. Some lively stretching exercises started off the session. Miss G wanted everyone to feel fit and ready for the energetic singing ahead. A couple of Turney favourites were performed for our first assembly back. Miss G mentioned the Rolling Stone and asked the students who can remember the name of the song that we learnt last term? An uplifting version of I Can’t Get No Satisfaction was then sung. It was great to see so many volunteer signers leading from the front alongside staff member Debbie. Tomorrow from the musical Annie was our second song from the assembly. Some new songs will be introduced to our assemblies as the term continues.